I finally made my way down to Tan Quee Lan Street to check out this year's World Street Food Congress 2015. Love their new location and the vibe of the whole place. It felt like an outdoor picnic carnival. 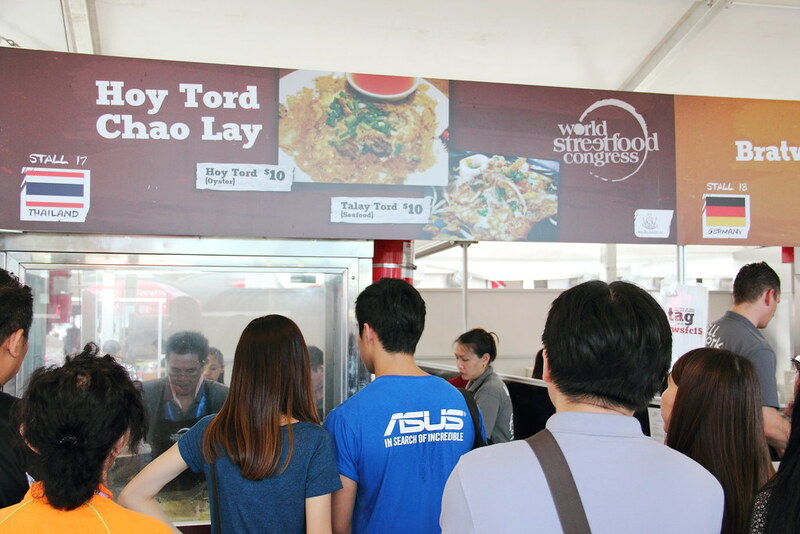 The World Street Food Jamboree is happening now to 12 April 2015, showcasing 23 stalls from different parts of the world which is the main attraction of the whole congress. The response has been overwhelming, so much that stalls ran out of food and they have to close early. In anticipation of the weekend crowd, the organizer and stalls owner has made the necessary adjustment and arrangement. If you do not want to miss this event. You have 2 more days left to check it out. 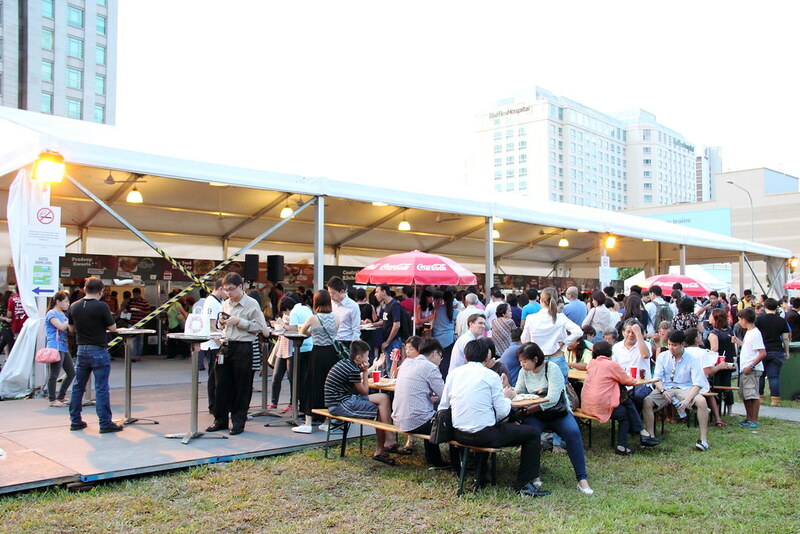 The world street food jamboree will be opened from 1pm to 11pm this weekend. The first stall I checked out is East Side King. The East Side King is a group of Asian-inspired street food restaurants and food trucks in Austin co-founded by Top Chef champion Chef Paul Qui. I tried both the Chicken Inasal Taco and Kinilaw from East Side King. The Chicken Inasal Taco is my favourite among the two dishes. 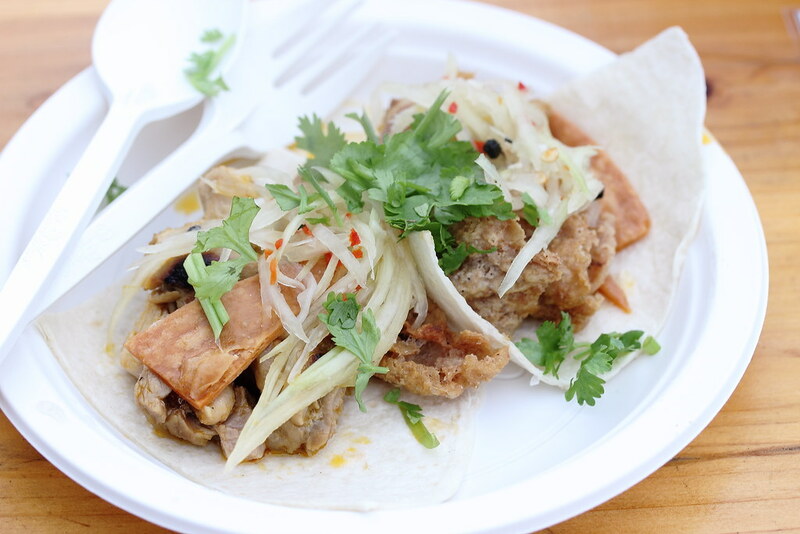 The crispy chicken skin encased in the soft taco was the winning factor for me. The Kinilaw which is also known as Filipino ceviche has an interesting combination of Asian flavours. However it was not sharp enough for me. 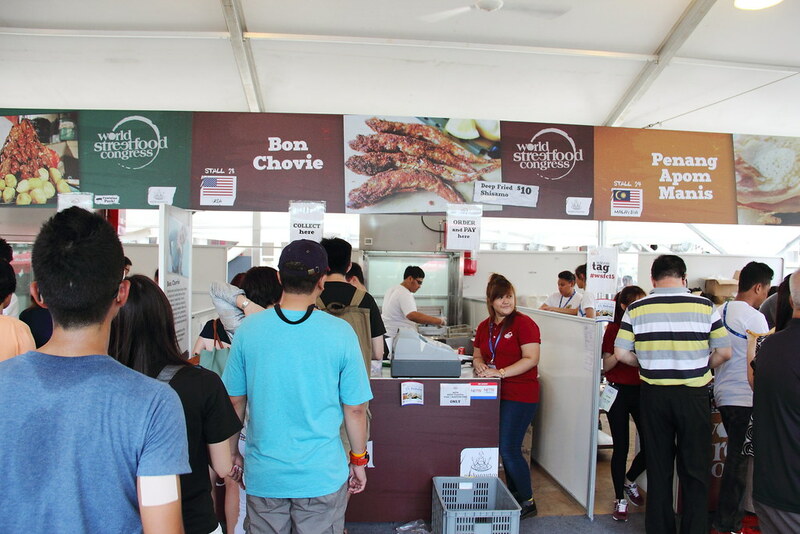 The next stall I wanted to try which is on the top of my list is Bon Chovie from the United States of America. 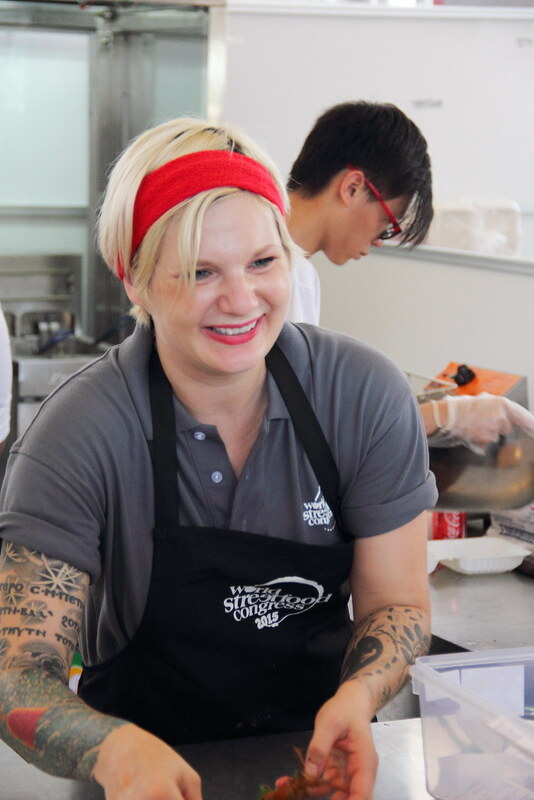 It is established by self-trained chef and music industry veteran Renae Holland. Bon Chovie offers a variety of seafood. 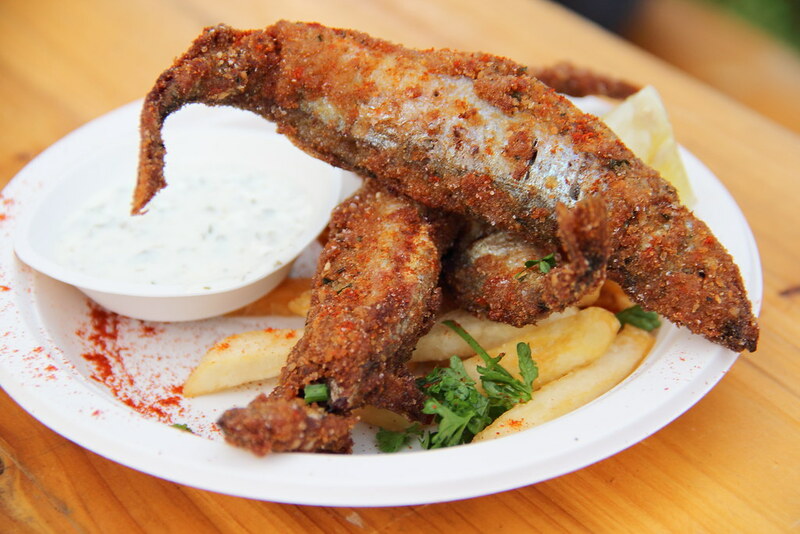 Her carefully crafted signature fried anchovy dish, which made its first appearance at the famous flea market Smorgasbord in New York. It catapulted to superstardom in 2011. The Bon Chovie signature Fried Anchovy is a little fresh whole fish (shishamo), lightly breaded and fried to bone soft perfection. This dish is then served with fresh lemon, pickled sweet peppers, and smoked paprika aioli. All these together with the belly packed fish roes is just heavenly. 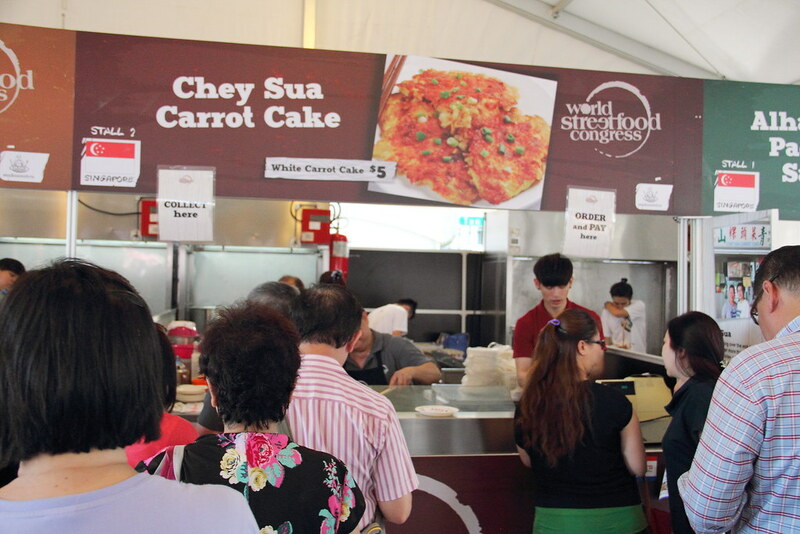 Supporting our local hawker heroes/heroines, I had Chey Sua Carrot Cake who also took part in the Ultimate Hawker Festival 2014 last year which I am one of the curators. 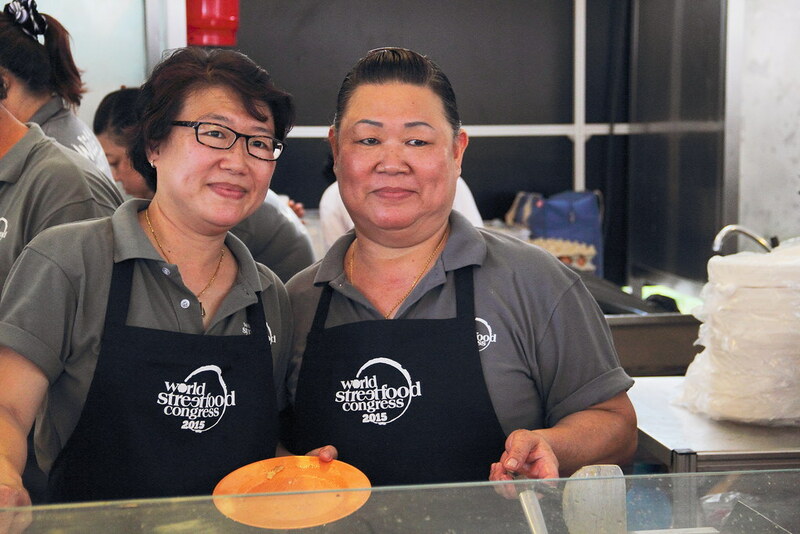 It is glad seeing the 2 sisters still cooking from their heart preserving the tradition taste for our hawker heritage. Both sisters still continues to handmade and steamed their white radish cake in aluminium bowls just like how it was done more than 50 years ago. One side of the carrot cake is pan fried longer to achieve the crispy exterior while still retaining that silky texture inside. 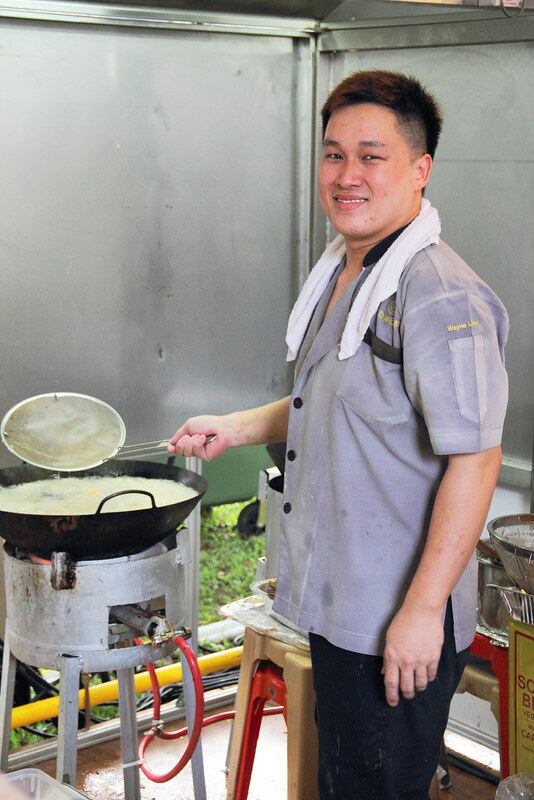 Another local stall at the World Street Food Jamboree is Keng Eng Kee Seafood established by Chef Liew Choy in the 70s. Now the kitchen is headed by his son, Wayne Liew in the picture. Keng Eng Kee Seafood is offering a Seafood Platter with 3 Dips. 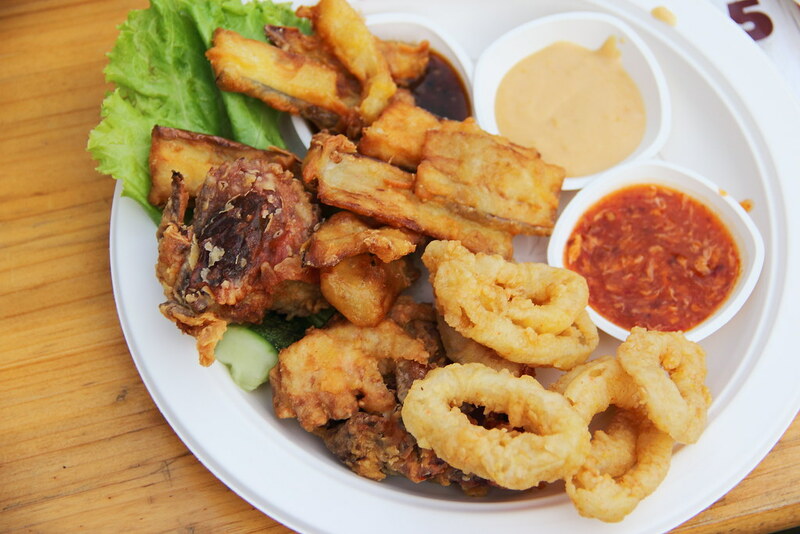 The platter comes with deep fried soft shell crabs, calamari and egg plant. The 3 different dipping sauces are chilli crab, salted egg yolk and black pepper. Pak Sadi Soto Ambengan won the top honors in the world's Top 20 Street Food Masters Award at WSFC 2013. Since they are back for the 2nd year, I got to try this honorary stall. 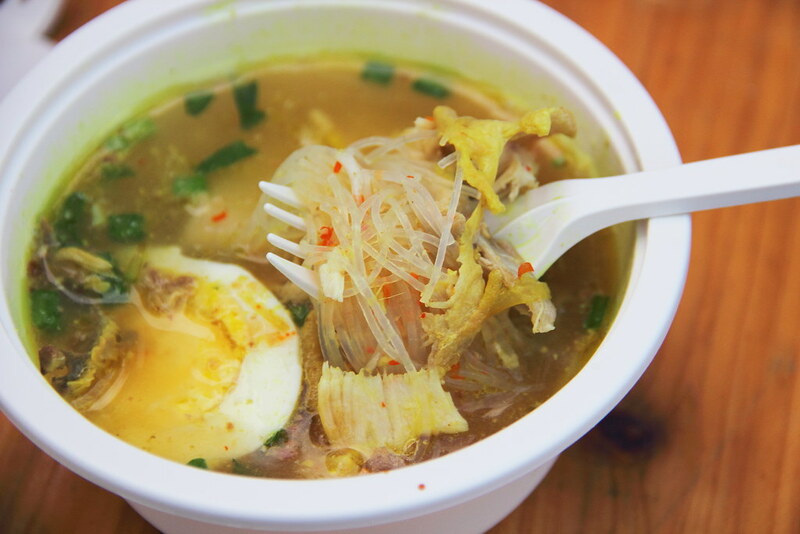 Soto Ayam may sound and look familiar in Singapore, but don't be fooled. Sadi's Soto Ambengan is Indonesia's variant of soto, traditional spiced chicken soup commonly regarded as the perfect form of chicken soto from East Java area, Lamongan. 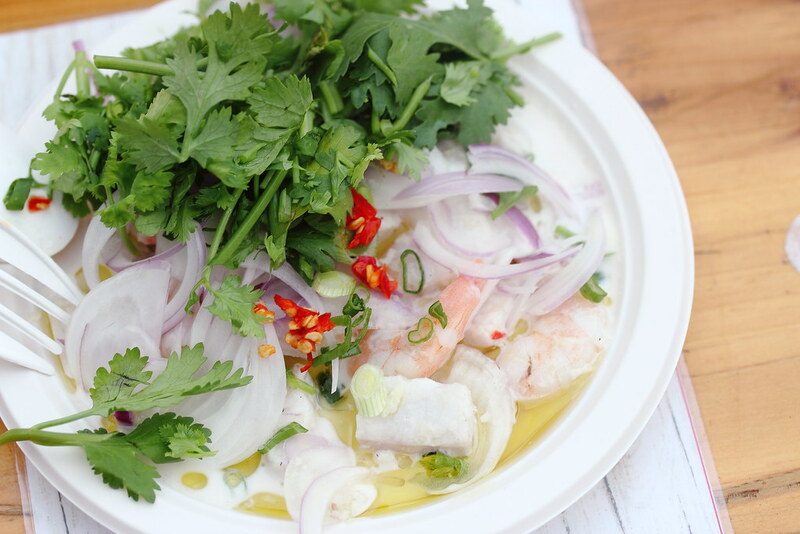 The secret to this dish can also be traced to the use of fresh milk fish, seafood in the stock, and the use of a dangerously addictive and own made "koya" powder added to the stunning spiced broth. 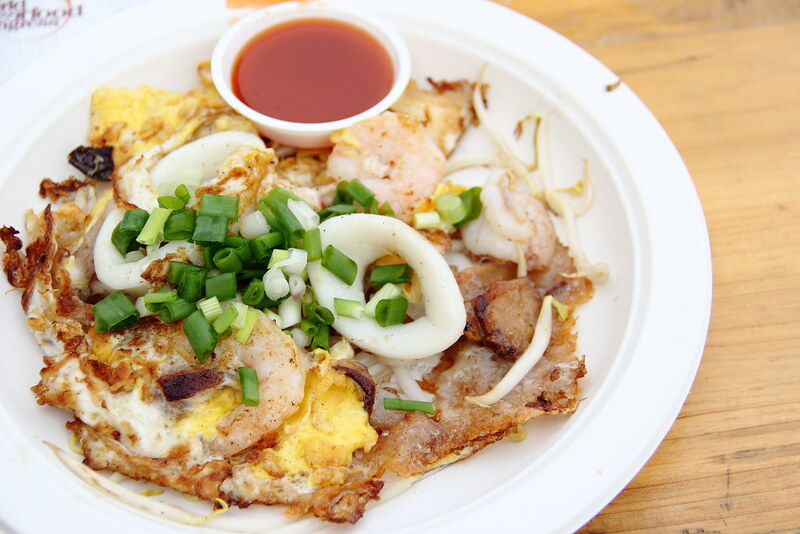 My most favourite dish at this year World Street Food Congress has to go to the Seafood Omelette sold by Hoy Tord Chao Lay. 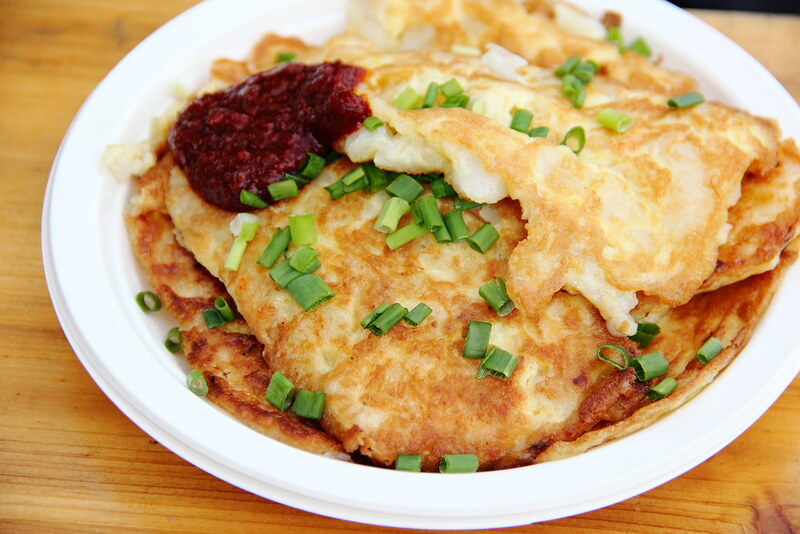 The ultra crispy omelette with soft, fluffy insides is plated with a portion of freshly seared crunchy sprouts and completed with a splash of pepper and fish sauce. 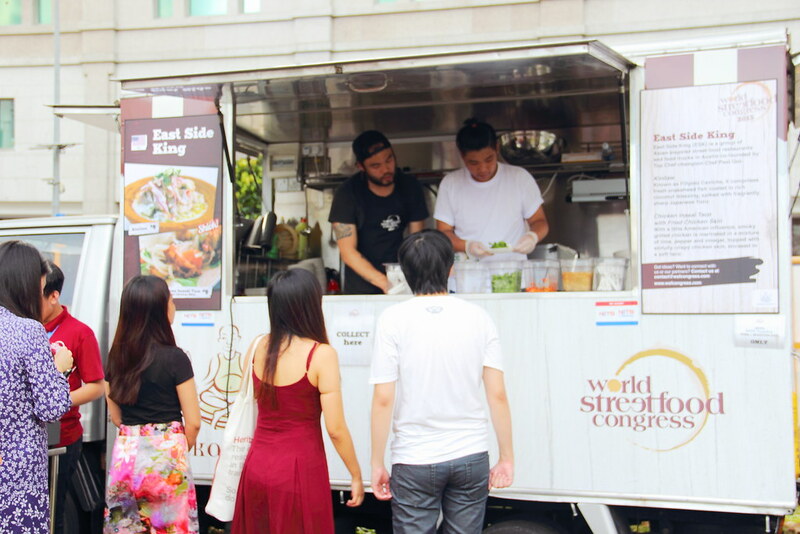 The WSF Jamboree is the most eagerly look forward part of the World Street Food Congress where foodies get to try street food across different parts of the world. 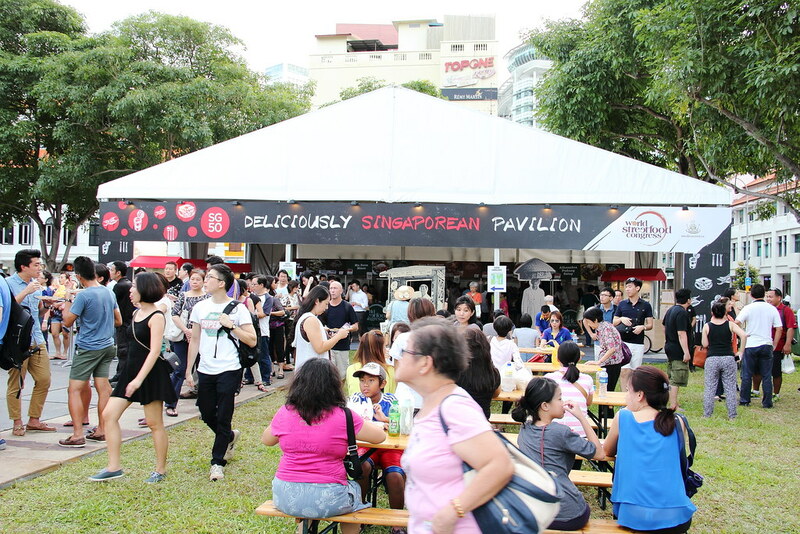 This year we will see 23 stalls from 12 cities coming together at the open field of beside Tan Quee Lan Street along North Bridge Road. The top street food vendors and award winning chefs hail from USA, Bolivia, India, Indonesia, Vietnam, Germany, Vietnam, Malaysia, Thailand, Philippines and Singapore will be gathered for the world's best street food party. The Jamboree is open to the public. Food price will start from $4.50. The public can enjoy a cashless mode of payment via NETS FlashPay (Enjoy a 5% rebate), NETS and/or Credit Card. Labels: Hawker Food, Local Food, Others: Event, Street Food, World Street Food Congress, World Street Food Jamboree. Thank you. Please continue to support. wow, this place bring back a lot memories. hahaha yes lots of memories.